How much influence do our genes have over our destiny? Do they play a big role, not much of one or somewhere in between? This is a question doctors to shamans and scientists to average joes have been trying to figure out for a long, long time. Are we genetically predisposed to things like obesity, heart disease, cancer, arthritis and dementia if our family has a history of them? Or do we have something to say in the matter? Although this topic is far from decided, (and is extremely complicated and deserves pages worth of discussion), the simple synopsis is that it appears that rarely is there genetic predisposition (aka genetic destiny) to much of anything, particularly lifestyle related diseases and maladies. There does certainly seem to be some genetic inheritances of a few conditions and/or adaptations that are undeniable and unavoidable but most of what we think of as genetic predisposition is more accurately genetic pressure. Think of it like peer pressure. Very rarely do your friends make you drink, smoke or do stupid things. However, the more people you have influencing and the more often they’re pushing you the harder it can be to say no. Also, the closer these friends are, the more convincing they are and the more you want to fit in the more likely you are to be influenced by those folks. Thus, the impact of peer pressure is tied to a number of factors and is perceived differently by everyone. Genetic pressure is very similar. Genes are, maybe most accurately, “friends” that literally influence us to do things. Having a family history of obesity means you have some close friends (genes) that like to party at the buffet and want you to join them on a regular basis. Very rarely do they physically drag you into restaurants but they are always going out or making elaborate meals and constantly invite you to join them. These genes (with the help of actual friends/family/environment) peer pressure you toward obesity. Some people have just a few friend genes that pressure them while others are literally surrounded by the genetic equivalent of a community of peers, family members and strangers that relentlessly prod them to give in. These people, not surprisingly, find it very easy to fall victim to their genetic “predisposition” which, in essence, is instead a strong pressure toward obesity. This isn’t to suggest that it’s easy to avoid genetic pressure and if someone develops diabetes it’s their fault for not saying no enough to the genetic and real life diabetes pressure. The concept of genetic pressure simply suggests that our destiny isn’t a heart attack in our 40s because both Dad and Grandpa had one. It suggests that because they had those happen, they likely passed on more genetic peer pressure to the next generation, meaning the son needs to be a little smarter about the environment he spends his time in and should remember that he has a few more buddies encouraging him in the wrong direction. Lifestyle diseases are not single genetic determinant. They are complex and multivariate progressions of an organism. They are often influenced by a number of genes but very rarely are they your destiny. If your family history tells you that you have a pretty big peer pressure problem then your job is to manage your environment and circle friends by limiting your time with the bad neighborhood kids named Stress McWorry, Lacking Sleep, Always Sittindown, Fast Foodie, Drinks a’Bunch and Inside All Day and instead spend more time with the kids our parents always wanted us to hang out with: Fresh Foodie, Takin’ It-Easy, The Sunshine Kid, Body Mover, Smiley Happy Guy and Sleepy McSleeperson. Ultimately, your genes determine a lot about you but they very rarely predispose most of what becomes of you. They give us a community to live in but it’s our job to find the good kids with the good influences and make our destiny whatever we decide it should be. P.S. 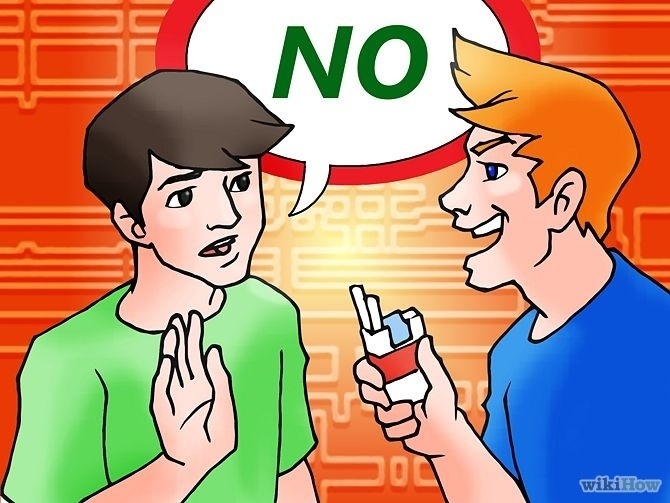 When you’re young and developing the genetic peer pressure can be rough and mistakes can be hard to overcome. Getting in trouble when you’re young makes it rougher to get out of the fray as an adult but it’s no different than life. You may have screwed up and ended up in jail but once you served your time you can start a new life. It may take a little longer if you have a record but you can always make it happen if you surround yourself with good people.